TV with Thinus: SABC CEO James Aguma shocks parliament: Wants Broadcasting Act changed so people require a SABC TV licence for more devices like computers, wants DStv to collect fees, wants news sponsored. SABC CEO James Aguma shocks parliament: Wants Broadcasting Act changed so people require a SABC TV licence for more devices like computers, wants DStv to collect fees, wants news sponsored. SABC acting CEO James Aguma shocked on Wednesday by telling parliament the SABC wants the Broadcasting Act changed to include more viewing devices so that more people need a SABC TV licence, for instance for computers, cellphones and tablets. James Aguma wants DStv forced to collect SABC TV licence fees on behalf of the SABC. James Aguma also wants the SABC's news commercially sponsored. James Aguma, SABC executives and the SABC's new interim board appeared before parliament's portfolio committee on communications to brief members of parliament about the latest situation at the crisis-riddled public broadcaster and its revised corporate plan. 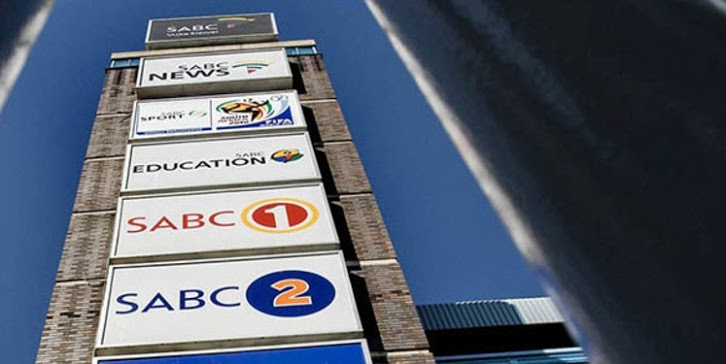 James Aguma said the SABC is budgeting for lower revenue from SABC TV licences this year, but that the SABC wants to see changes made to the Broadcasting Act to make it mandatory for people to pay a TV licence for more devices they view content on. James Aguma in parliament said the SABC wants "changes to the Broadcasting Act to increase revenue from television licences. Here we're saying the majority of non-payers of TV licences may be brought into the net if we can change the Broadcasting Act due to two things". "One to define what a receiving device is - a TV - because now you can view content on different platforms. Yet the Act is only talking to a limited devices. So we need to do that." "Also probably compelling some of the commercial broadcasters to make sure that they can collect TV licences on behalf of the SABC." James Aguma told parliament that if the Broadcasting Act is changed, it would broaden the collection base for SABC TV licences which in turn would help to increase the potential revenue the public broadcaster could collect from this income stream. Currently people are required to pay a TV licence for a device that can receive a TV signal. As video-on-demand (VOD), digital broadcasting and video content channeled through other device however grows, millions more South Africans are watching TV content on computers, laptops, cellphones, tablets and other devices. "We also want a review of the Icasa regulations for sponsorship of news," said James Aguma, telling parliament the SABC that has to provide impartial, unbiased and non-commercial news, wants commercial sponsorship of news programming that is currently not allowed under broadcasting regulations. James Aguma first told parliament about this in March 2017 and now, two months later, mentioned the idea again. James Aguma told parliament the SABC spent R649 million the past three years on broadcasting news and gets R100 million per year from MultiChoice for its SABC News (DStv 404) channel. "We don't get any revenue from that [news]. So we're saying, if there are changes to this, then probably we can close the gap between the cost from broadcasting news and the revenue that is limited to what we get from MultiChoice." "We want to find inventive ways of collecting SABC TV licence revenues, one of which is changing the Broadcasting Act to assist us in that regard".